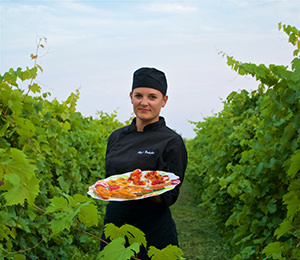 Rustic as it may be, this prairie art farm hosts artists from around the world every year. 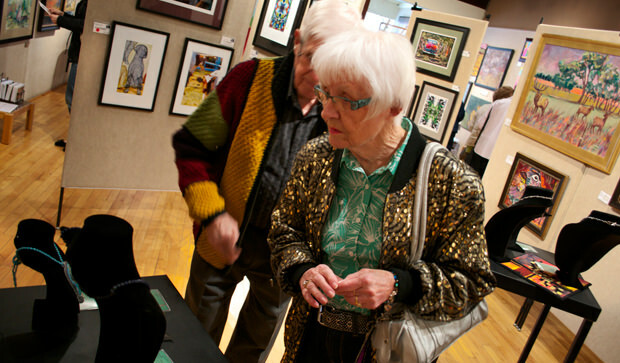 Studio K and the Venue Gallery in downtown Grand Island offer local fine art for sale. 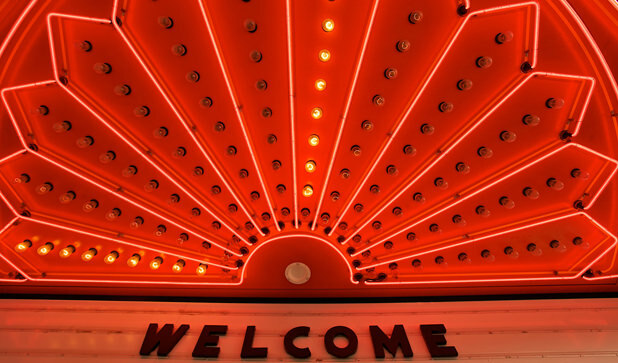 Downtown's historic Grand Theatre is the proper way to watch the latest films. In all of its original 1937 art deco glory, weekend shows and popcorn are surprisingly inexpensive. The first Prairie Lights Film Festival was held here in 2013. 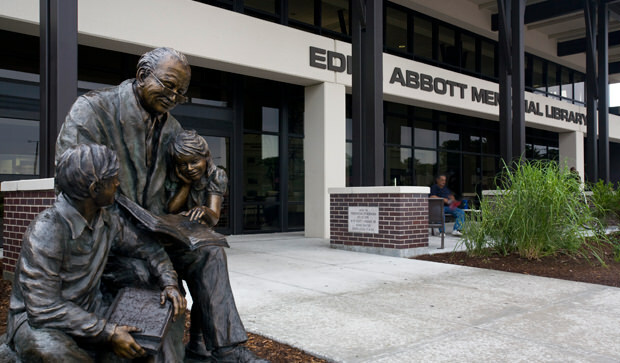 Grand Island's public library pays tribute to one of its most outspoken citizens, Edith Abbott. 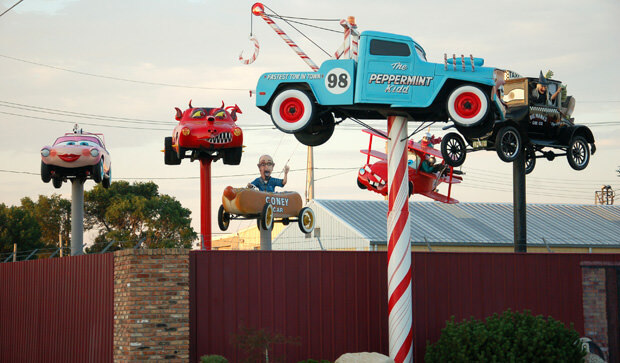 Local automotive sculptor Fred Schritt created a garden of cartoon automobiles. 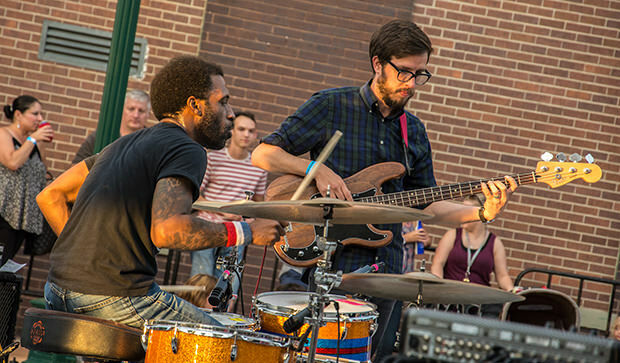 Concerts are abundant during the warm months, especially at the Heartland Events Center and in Railside. 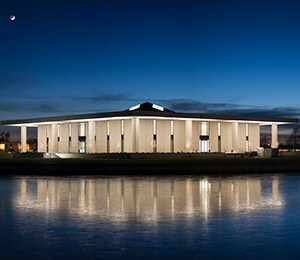 See original artwork in two downtown galleries, the gallery at the Crane Trust Nature & Visitor Center, and during certain times of the year at Stuhr Museum in architect Edward Durell Stone's Stuhr Building. Art in the Park sets up every July in the shade of Stolley Park. The Follow the Rails Art Trail follows communities along the Sandhills Journey Scenic Byway from Grand Island to Alliance every October. For live theater see the Grand Island Little Theatre’s calendar. The Piccadilly Players also perform plays throughout the year with great attention to their craft. 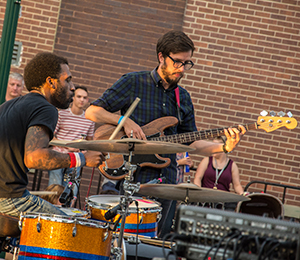 The Heartland Events Center hosts concerts year round, and during summer months Hear Grand Island features concerts in the Railside Plaza. 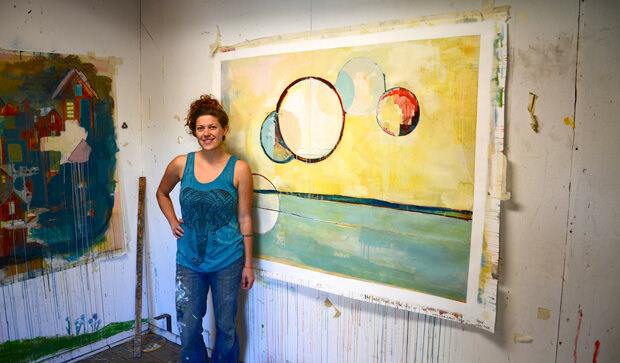 The Moonshell Arts & Humanities Council administers mini-grants to local art teachers as well as organizing monthly lectures free to the public. The 1937 Grand Theatre is the cultural keystone of Downtown Grand Island, half a block from Railside Plaza where two of Jun Kaneko's dangos are installed. The beautiful historic theater shows films on the weekend and hosts the Prairie Lights Film Festival every October. "I would invade the business section of town and, being a shy boy, hide behind posts or crates to draw the merchants and town characters. As I look now at those early drawings, I am amazed at how they bring the characters of that little prairie town to life, right into the here and now."